Have the time of your life on our unique laser tag fields in Colorado Springs! We are not like any laser tag you have played before. We overhauled what you expect into a game that give unforgettable memories and keeps friends and family’s coming back time and time again. Once our field supervisor hands over your laser tag gun you get to play on our one of a kind laser tag arena featuring rooms, cars, airplanes and so much more! As the field doors close behind you, you teleport into a new experience that everyone will remember forever. After the game is over, grab a bite to eat with your team at one of our two snack bars, play virtual reality and socialize about how you totally had the best hiding spot last game! Book Now and Experience Colorado Springs LASER TAG! Our laser tag system beats the rest! When coming to play laser tag at American Paintball Coliseum, all you need to handle is the gun and sensor itself. Our lightweight equipment lets us allow players as young as five years old to play alongside the rest of the team! The laser tag system is completely self-contained which means there is no chest armor or headbands to deal with. It really is that simple to just pick up and go! 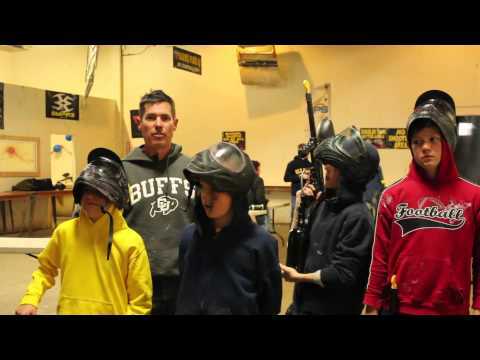 Host a Laser Tag Birthday Party at APC! Additionally, laser tag is one of the most cost-effective team-building exercises available and is a much more practical option when compared to pricey corporate retreats and conference center-based training sessions. Because of its popularity as a team-building activity, we now offer special deals and pricing for our corporate clientele. Aside from the team-building aspect of laser tag, it is also an excellent form of exercise for both children and adults. For children especially, it not only burns calories but also helps develop hand-eye coordination along with building social skills. Adults can also benefit from the running, high-intensity action of laser tag, which is a welcome alternative to working out at the gym. The game and challenge aspect of laser tag acts as a motivator for exercise and movement which can be particularly helpful for individuals not interested in traditional sports. A recent study by students at the Canadian Queen’s University in Kingston, Ontario supports this claim, and further elaborates that for those currently leading a more sedentary lifestyle, augmented reality games – such as laser tag – act as a valid and successful form of exercise! Come down and check it out! You will be amazed how much fun it is! 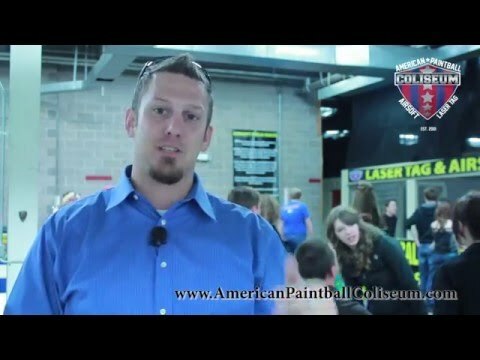 HOW DOES LASER TAG WORK AT APC? Laser tag is the perfect option for any event such as birthday parties, bachelor or bachelorette parties, and even corporate events! A common laser tag party includes 5 games that range in style from elimination and capture the flag to free for all and more. Each game is generally 5 minutes long which is the perfect time to run around pulling the trigger. Most times, a laser tag group should expect to be at the facility for an hour and a half to two hours in order to complete all five games. In between laser tag games, players are welcome to watch other laser tag/airsoft games happening or grab something to eat or drink at our snack bar. Does playing laser tag hurt or do we get dirty? Playing laser tag does not involve any projectiles so it is perfect for people looking for an alternative to paintball and airsoft. Laser tag is our no pain, no mess solution to help build the most action-packed family atmosphere in Colorado Springs. How many games is a usual session? Generally, a laser tag experience at our facility includes 6 games that each last 5 minutes a piece. The games are done in rotation so we recommend that you budget for 1.5 to 2 hours to complete the experience. When not playing games, players and spectators can enjoy lunch or socialize while watching other games. Do I need a reservation to play laser tag? We ask that reservations are placed in order for us to be able to give you the best possible customer experience. We do take walk-in players as well, however, walk-in players are on a first come first serve basis after reserved equipment is accounted for. Reservations can be made by clicking the button below. 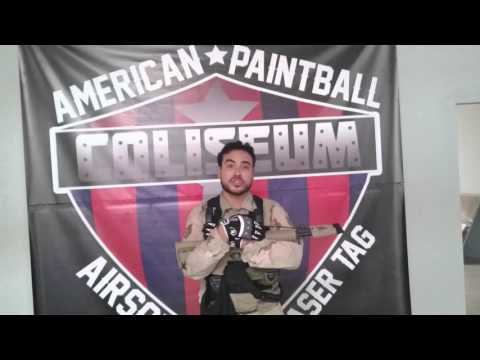 We recommend that players be at least 5 years old to play laser tag at American Paintball Coliseum. Each player will need to fill out a waiver and minors need to be checked in with an adult. We do offer a birthday party package that we have bundled to include food for each play. When coming to do a laser tag birthday party package at American Paintball Coliseum, each player will receive two pieces of pizza, a cupcake per player and a soda from our snack bar per player plus an extra game of laser tag! Have questions about laser tag?